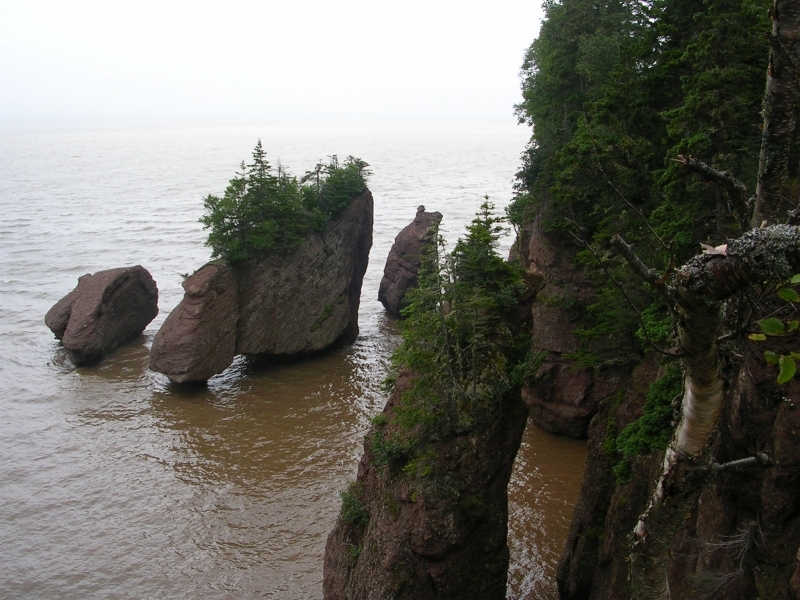 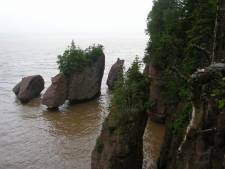 The famous Flower Pot rocks at Fundy National Park (Bay of Fundy) in New Brunswick, Canada. 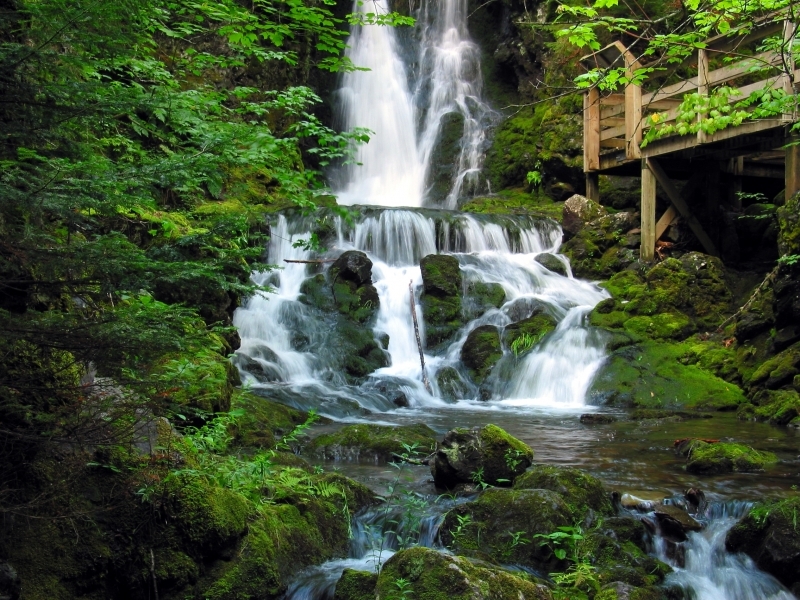 Waterfalls at Fundy National Park in New Brunswick, Canada. 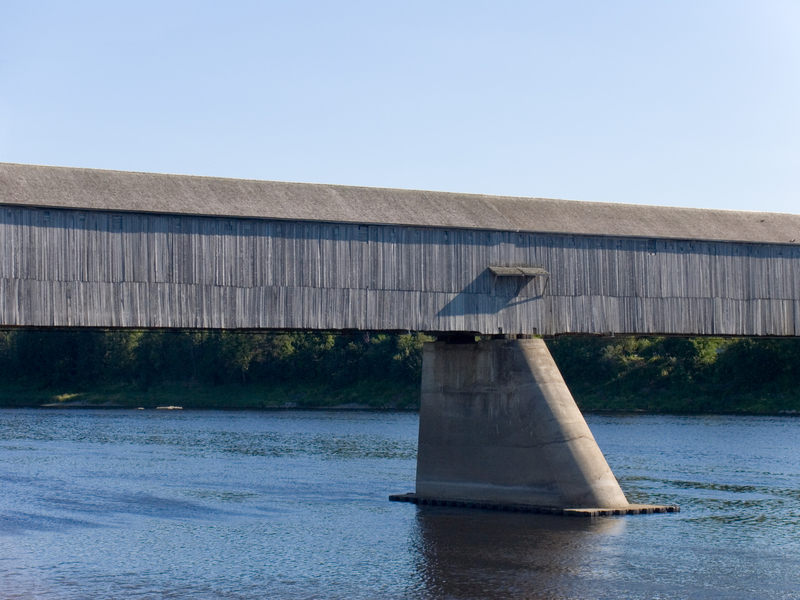 Detail of the covered bridge in Hartland, New Brunswick, which claims to be the world's longest. 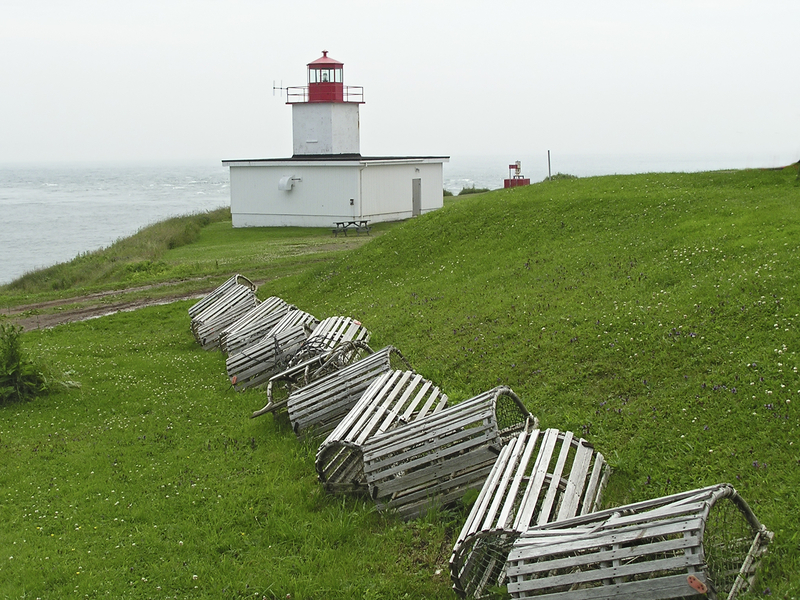 Lobster traps sitting on the grass near a lighthouse in a New Brunswick harbor, Canada. 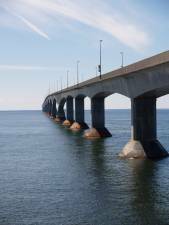 Confederation Bridge is the world's longest bridge over ice covered waters. 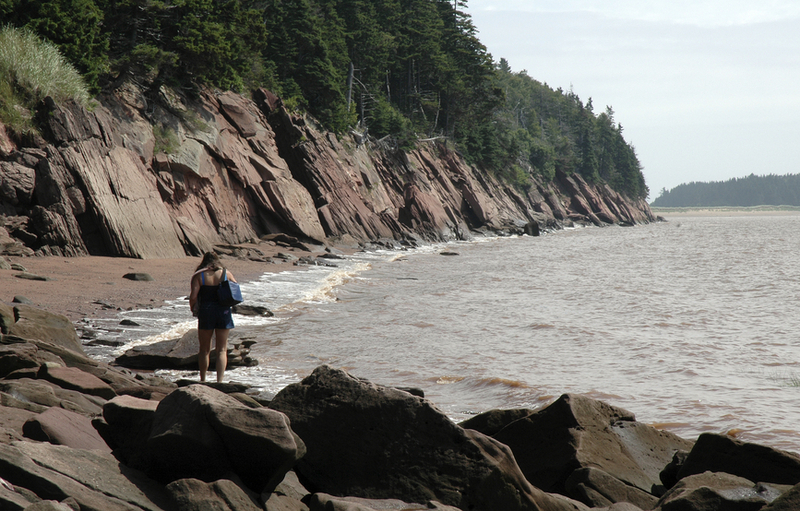 Bay of Fundy beach near Harvie, New Brunswick. 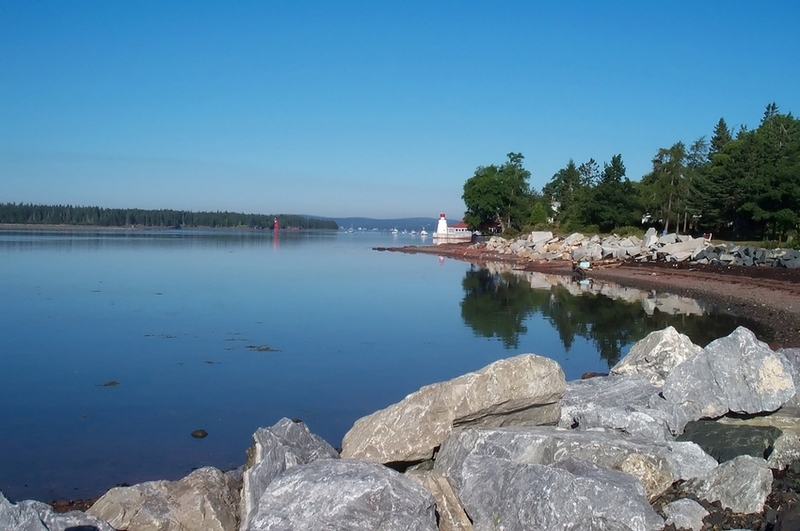 Ocean with small lighthouse at Saint-Andrew-by-the-Sea in New Brunswick, Canada. 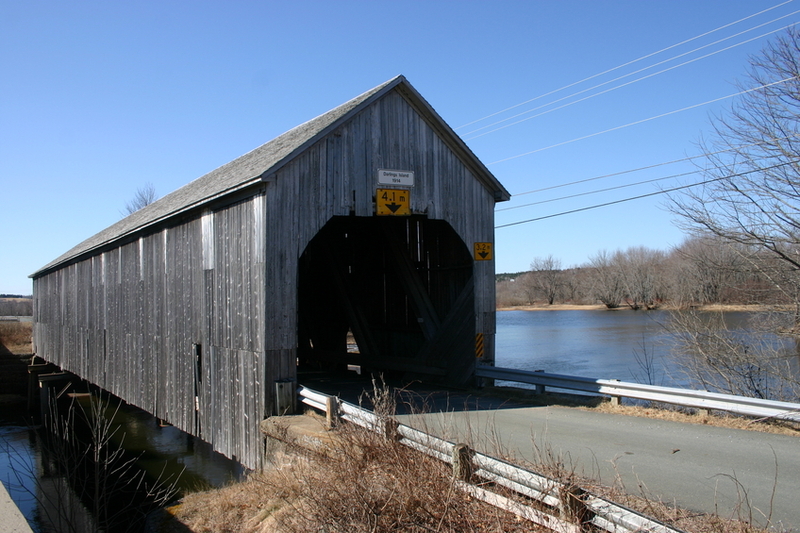 Old covered bridge in New Brunswick - Darlings Island Bridge.